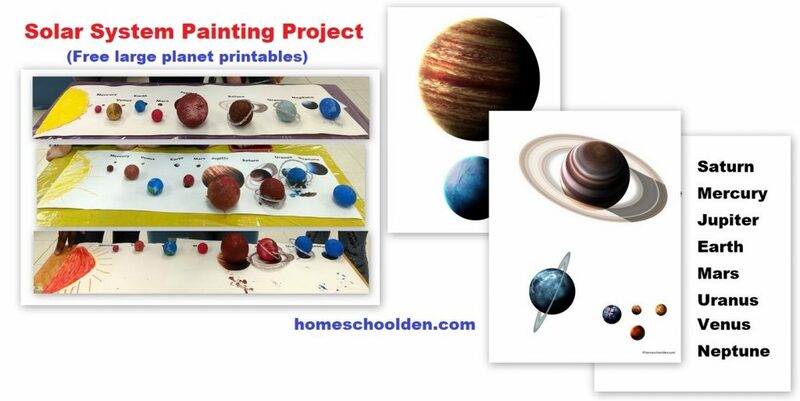 The first project was to create the planets to scale with play dough. 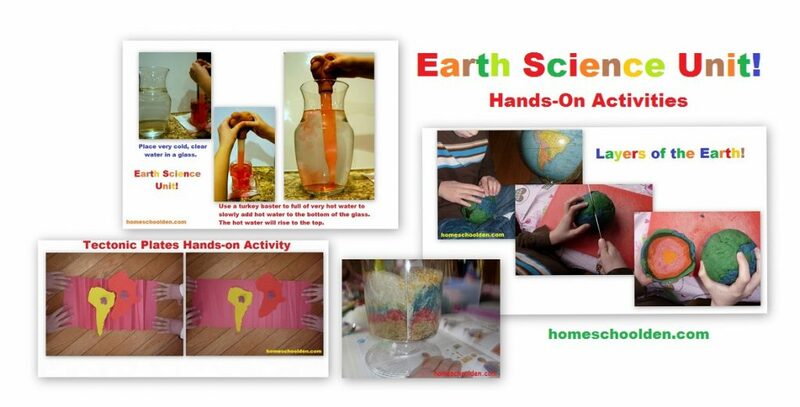 We made a LOT of homemade play dough (4 batches, I think) to make this really project really make an impression! The second project we did was a painting project. 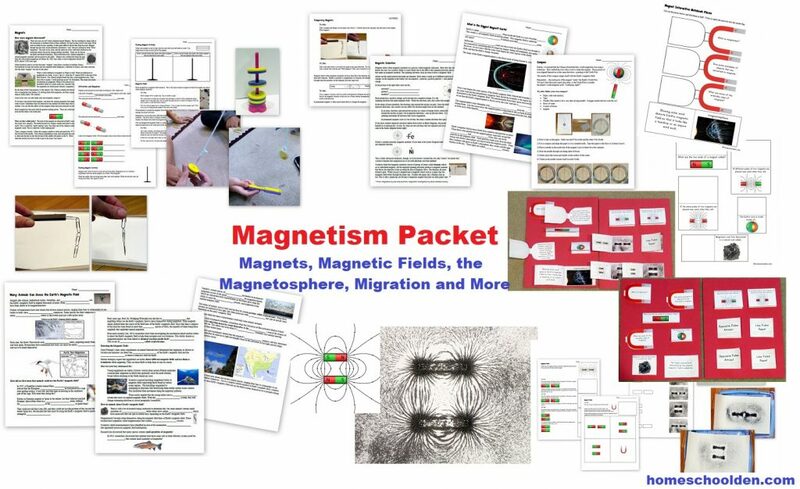 I handed the kids a large piece of butcher paper. 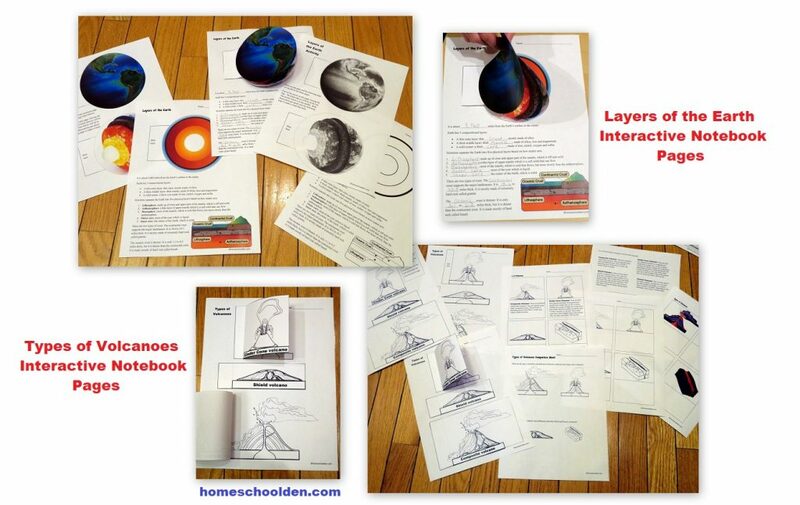 They cut out the (large planets) and glued them in order (like you see in the picture above). 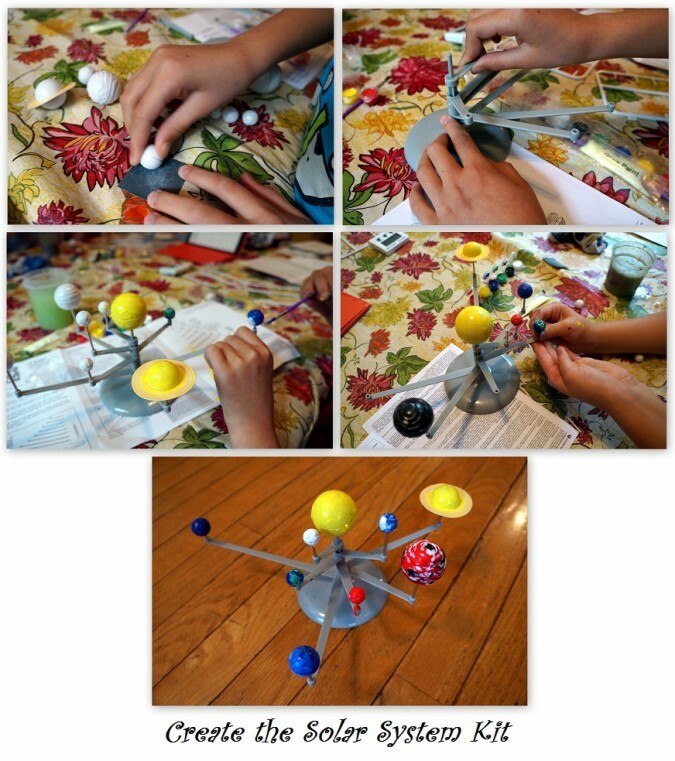 Then they used Styrofoam balls and painted them to look like the planets on their page. 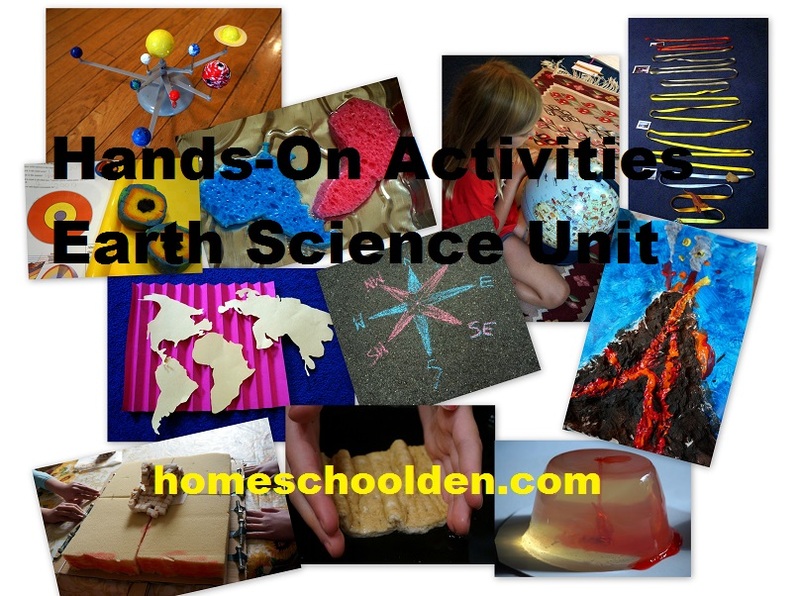 I provided sparkly pipe cleaners that they used to make the rings of Saturn and Uranus. 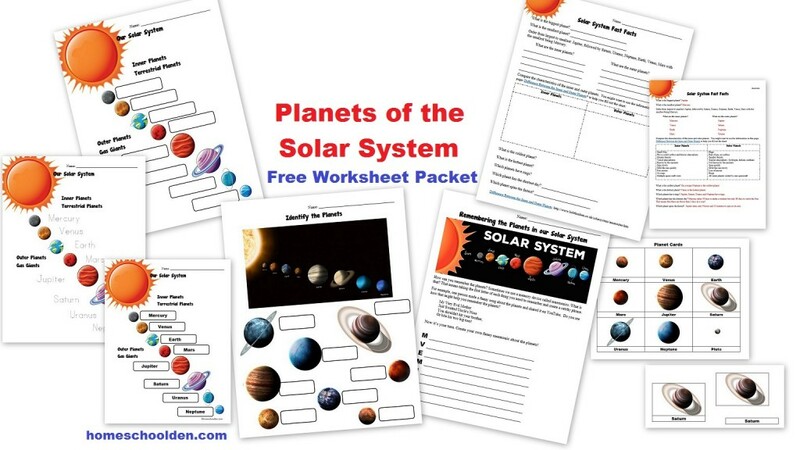 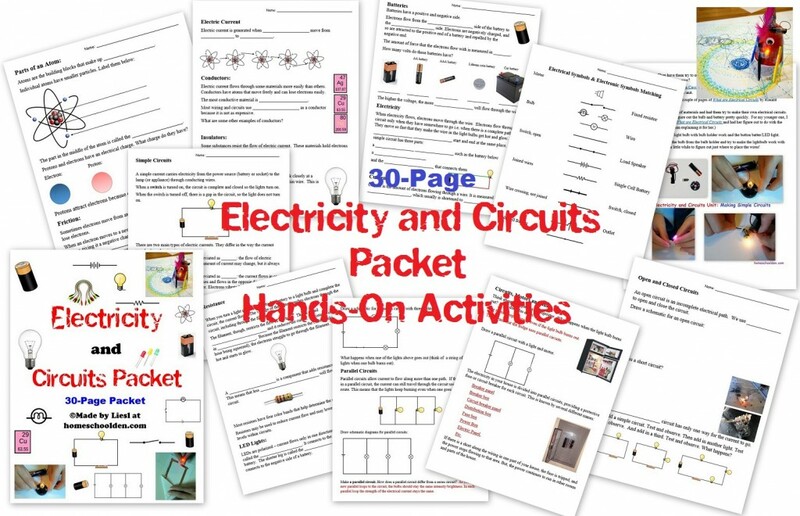 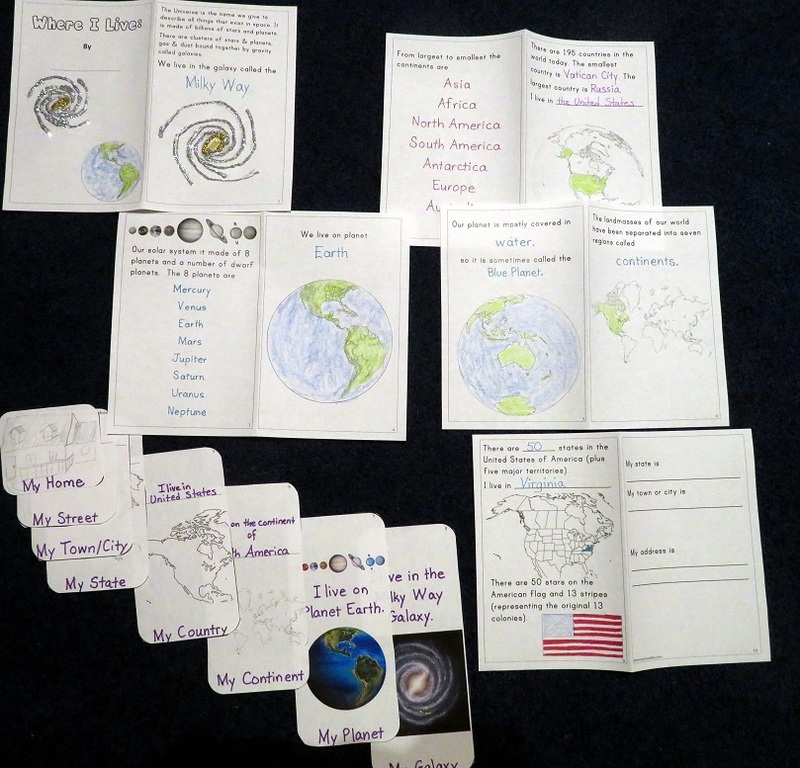 I added those large planet printables to the packet as well. 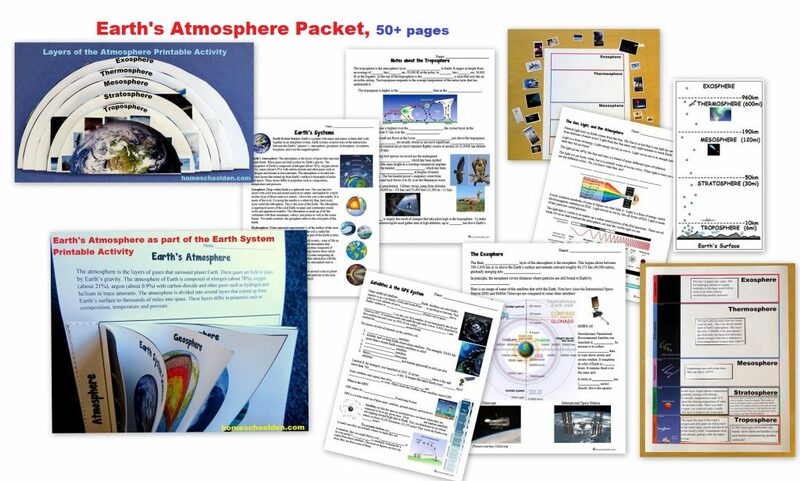 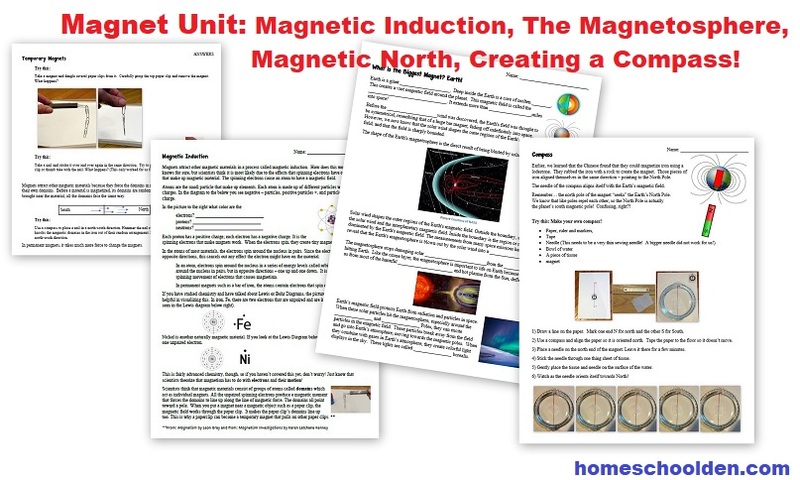 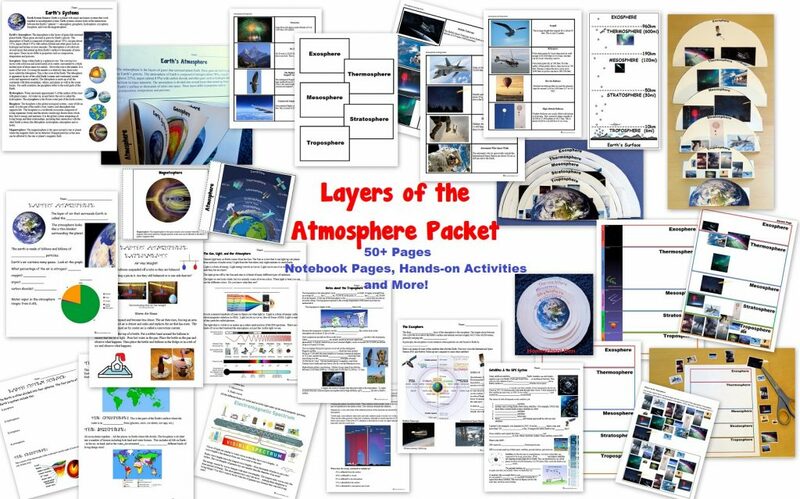 I had a reader reach out to me and ask me to provide a couple of the pages with the NASA images (that are also provided with the cute clipart images). 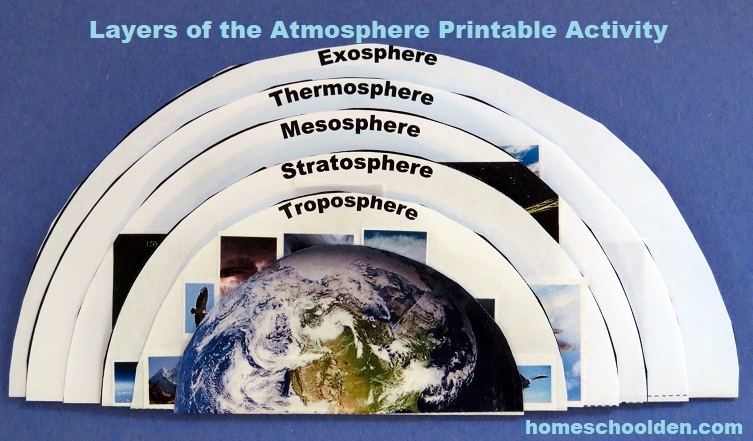 Be sure to pick and choose only the pages you want to print. 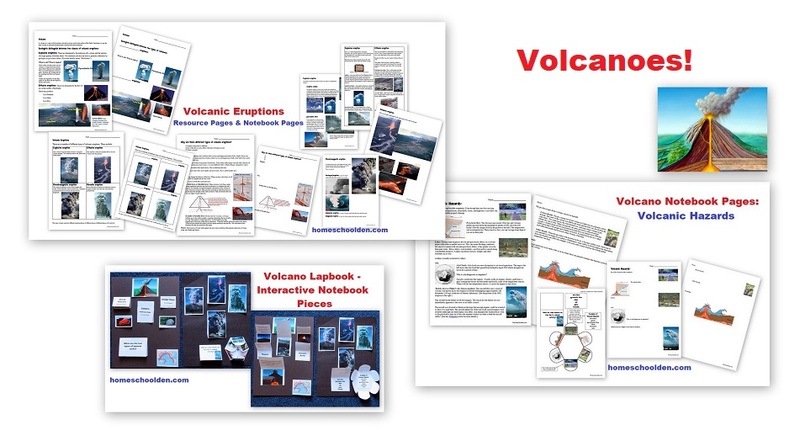 🙂 Now you’ve got both options available (meaning both the cute-clipart and the NASA images). 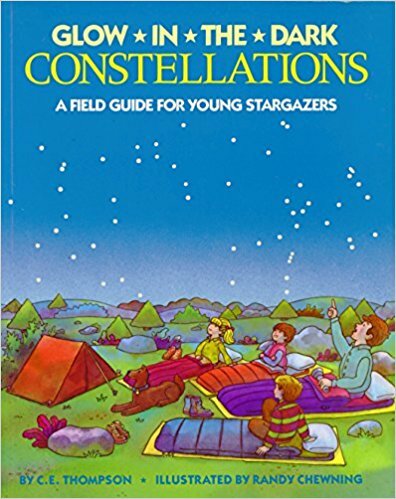 If you plan to go into detail about the constellations, your kids might enjoy this book (for ages 4-8), but my kids enjoyed (ages 8, 10, 12): Constellations, A Field Guide for Young Stargazers. 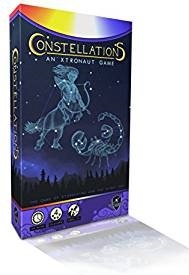 You might also enjoy this board game (recommended for 7+) called Constellations (affiliate link) which helps kids learn about the stars and star types. 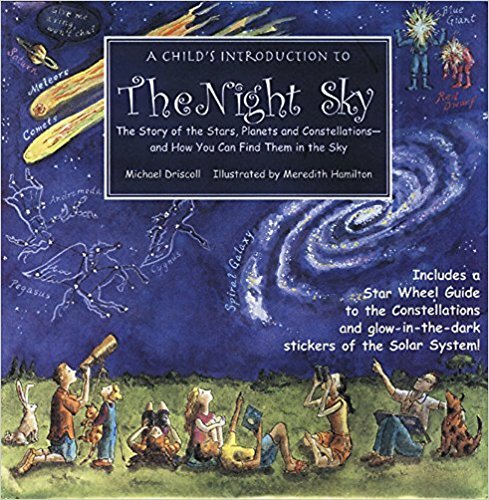 🙂 We bought this and my kids have really enjoyed it! 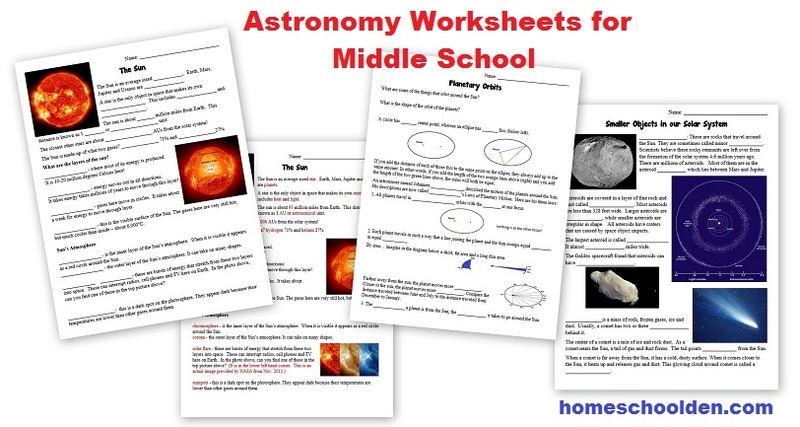 (We’re doing that in conjunction with our study of Greek mythology & the the myths about the constellations. 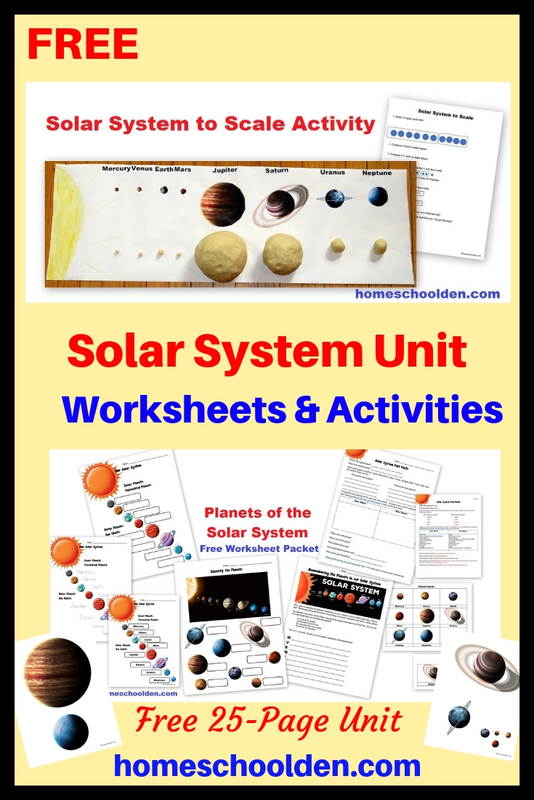 Of course, NASA’s page on the planet of the solar system should be your first stop. 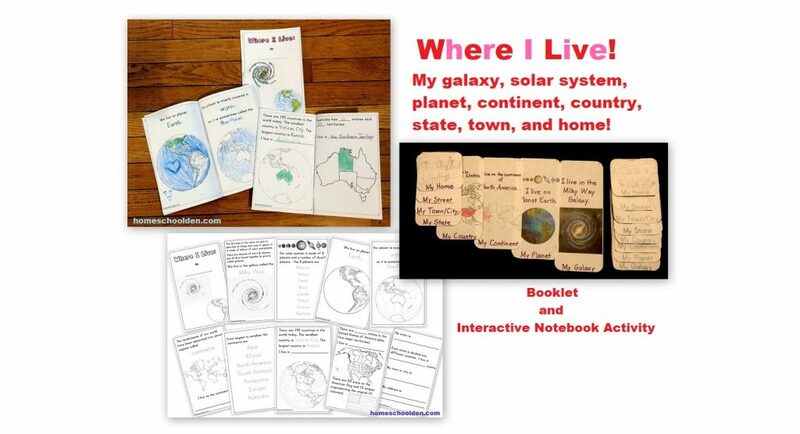 🙂 There’s lot to explore there! 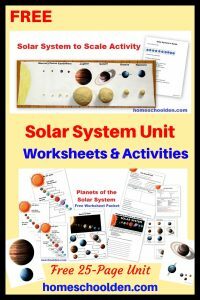 We used this website for talking about inner vs. outer planets. 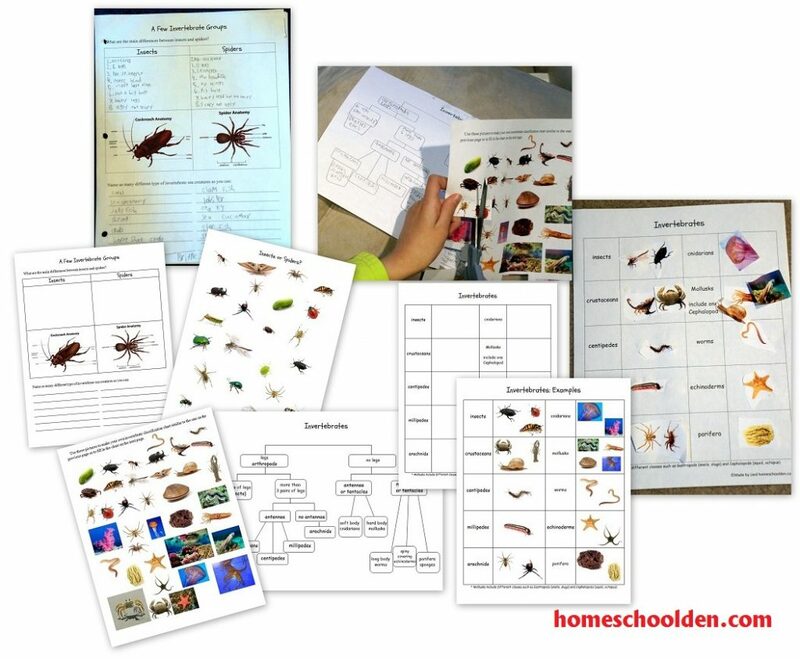 The chart was really handy. 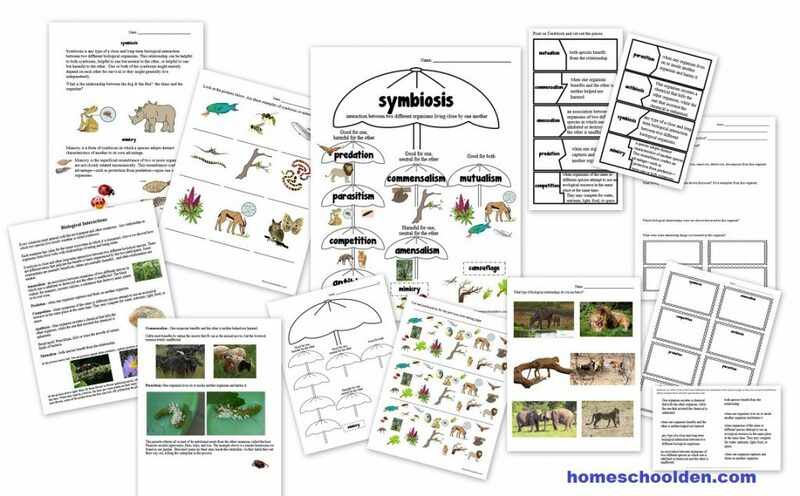 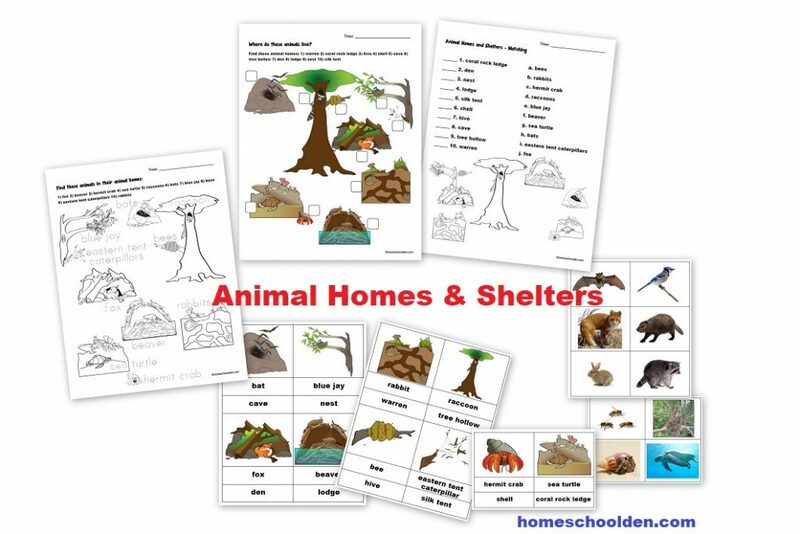 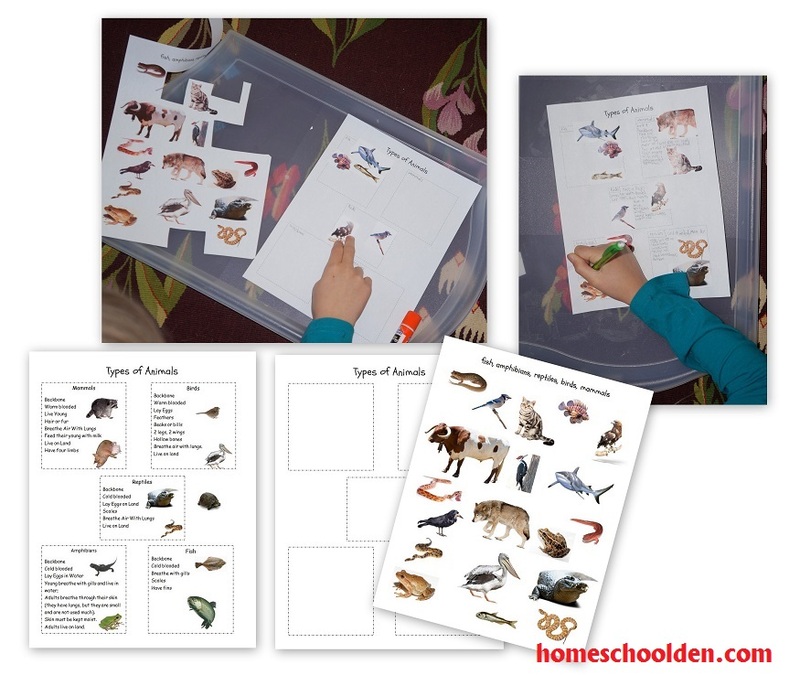 Animal Unit – Animal Characteristics, Animal Classification, Vertebrates-Invertebrates and more! 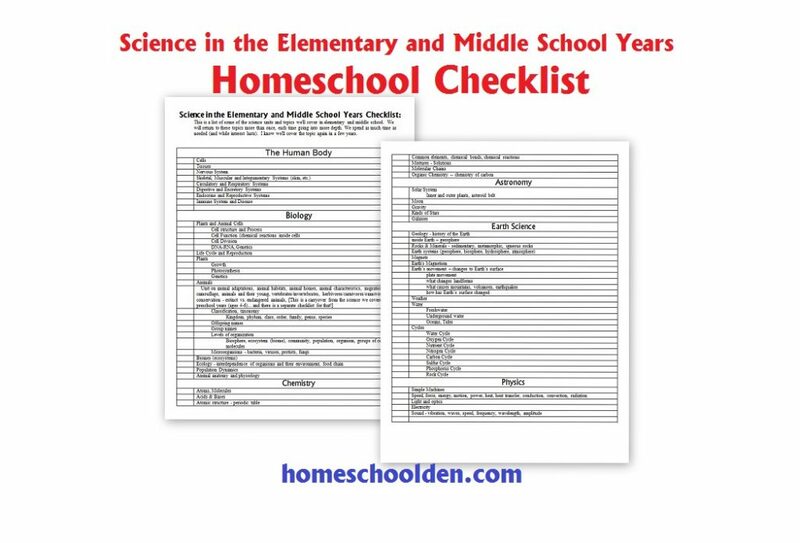 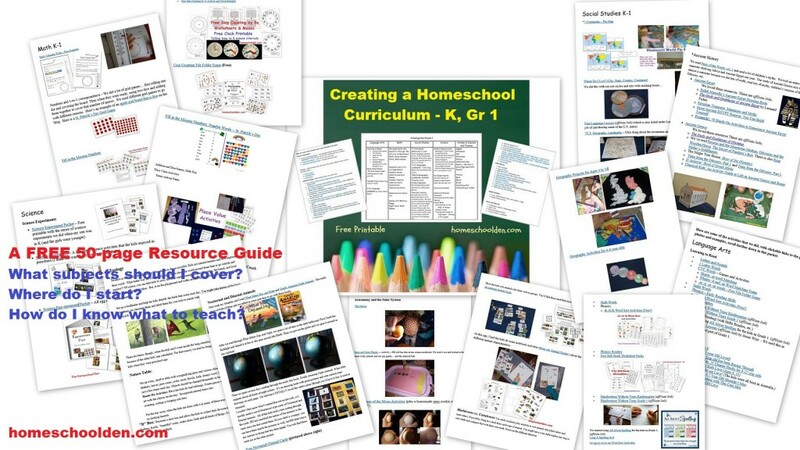 These are the science units/topics I hope to cover from K-Grade 8. 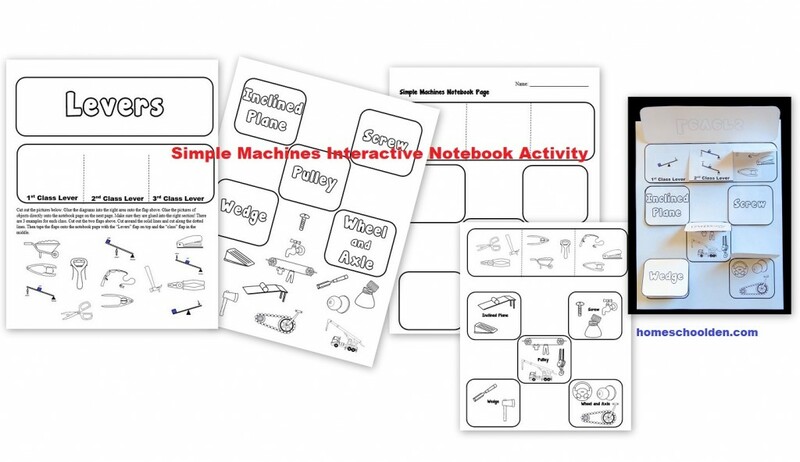 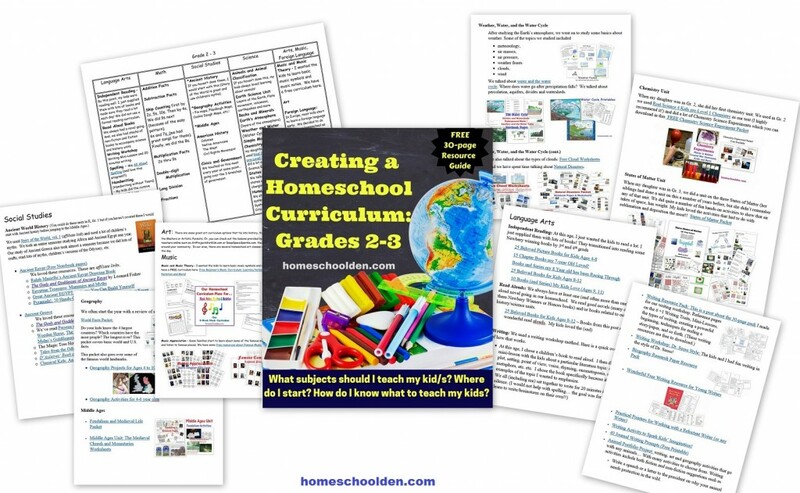 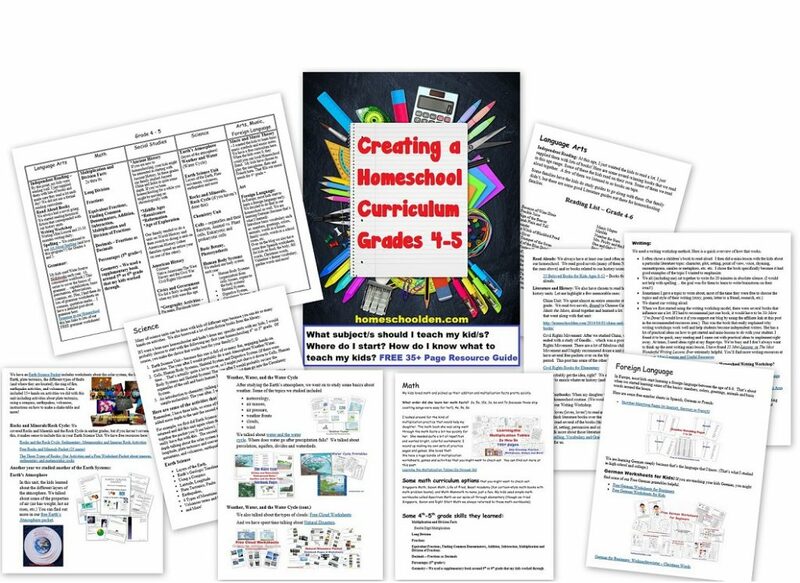 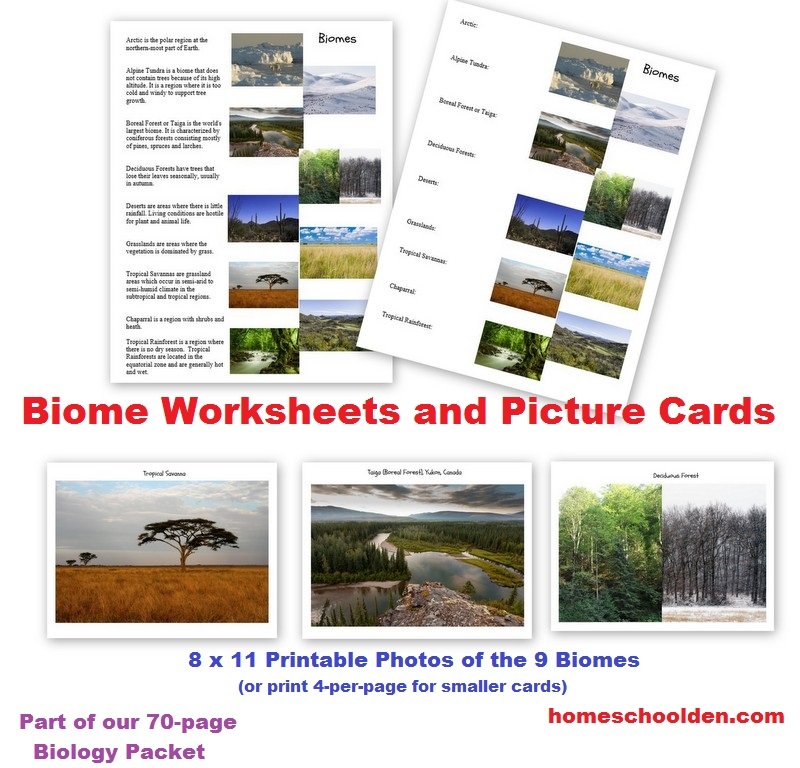 Human Body Systems – This post also has links to a number of different worksheet sets I made on the digestive system, etc. 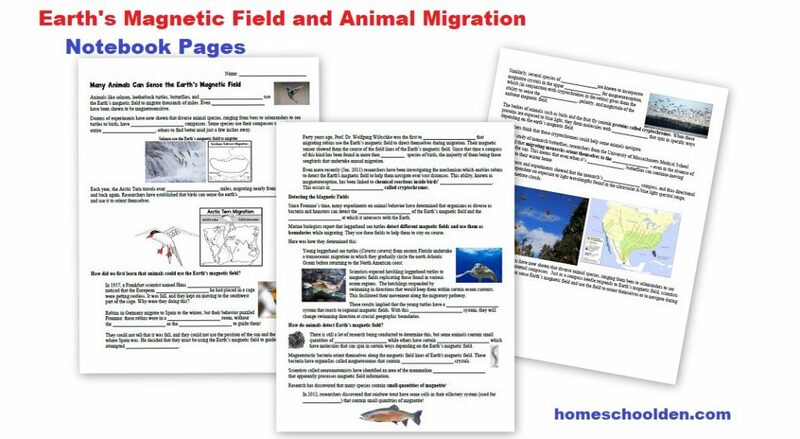 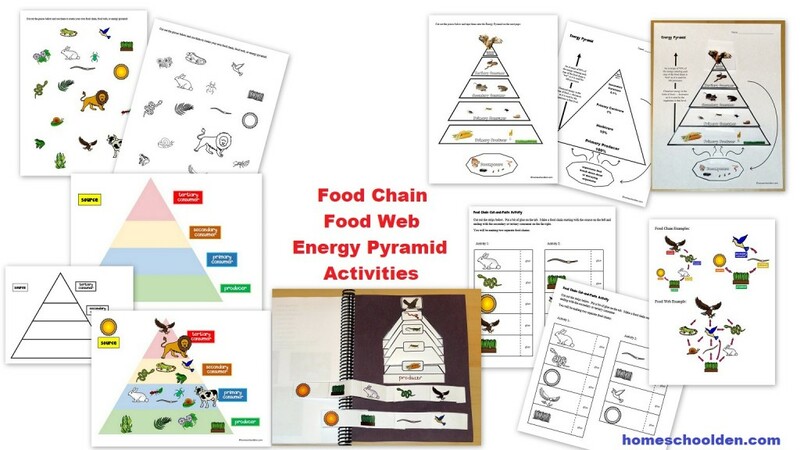 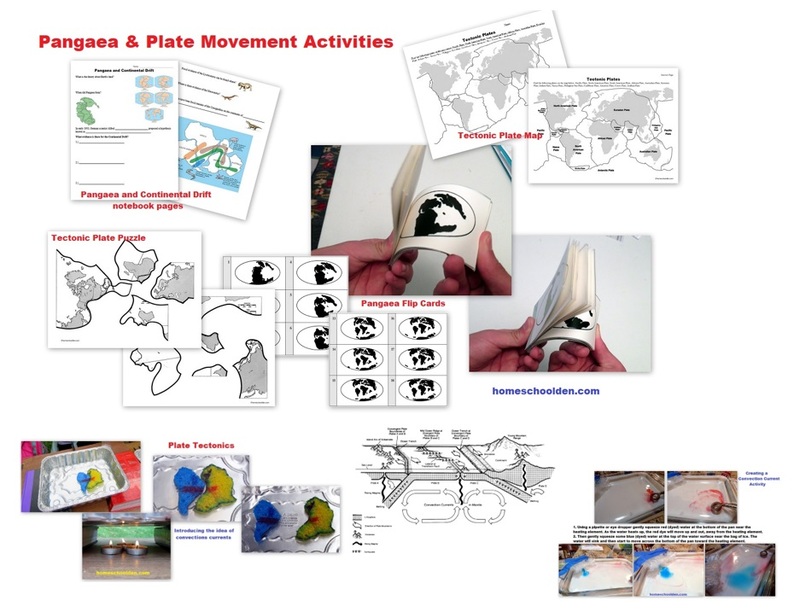 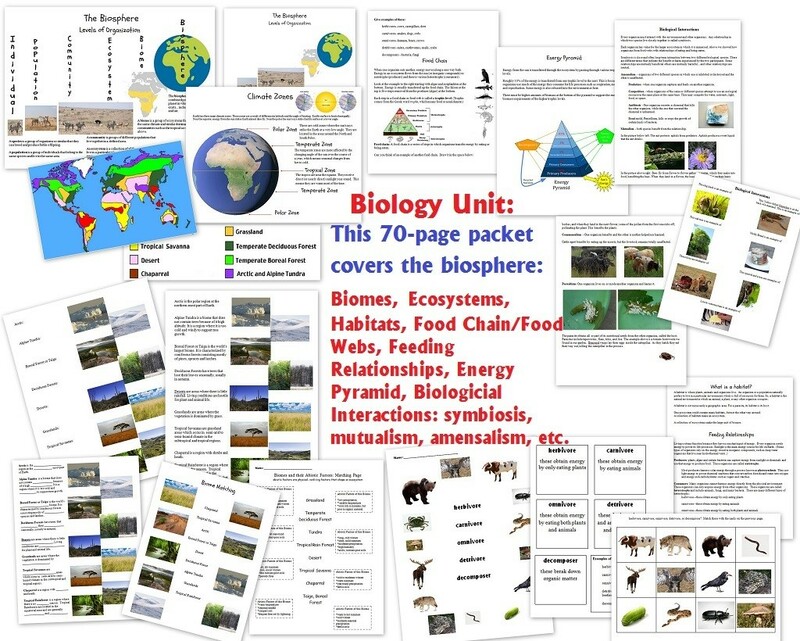 Biology Unit on the Biosphere: Biomes, Food Webs and More! 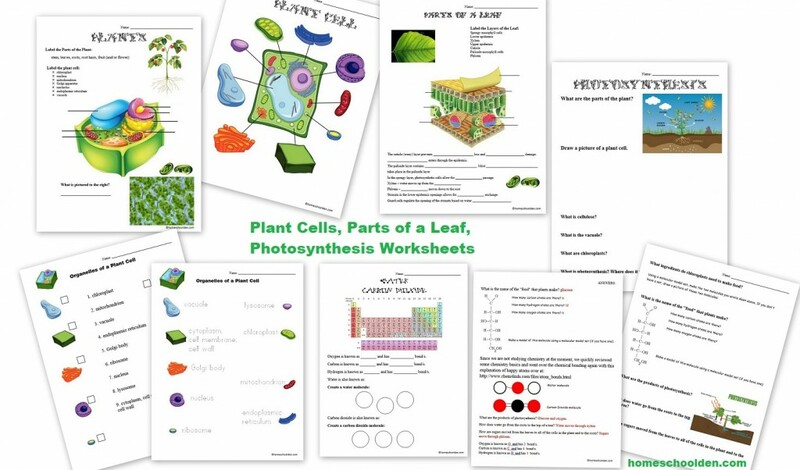 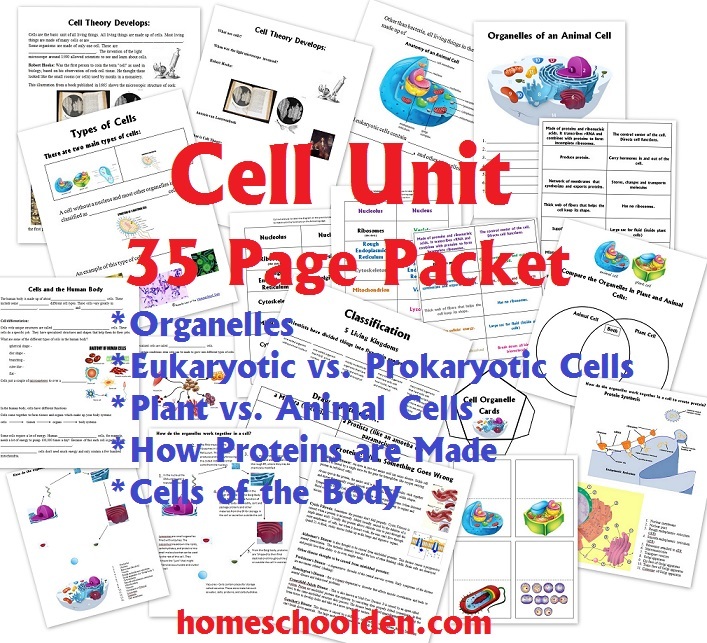 Cell Unit – Organelles, Eukaryotic vs. Prokaryotic Cells, Plant vs. 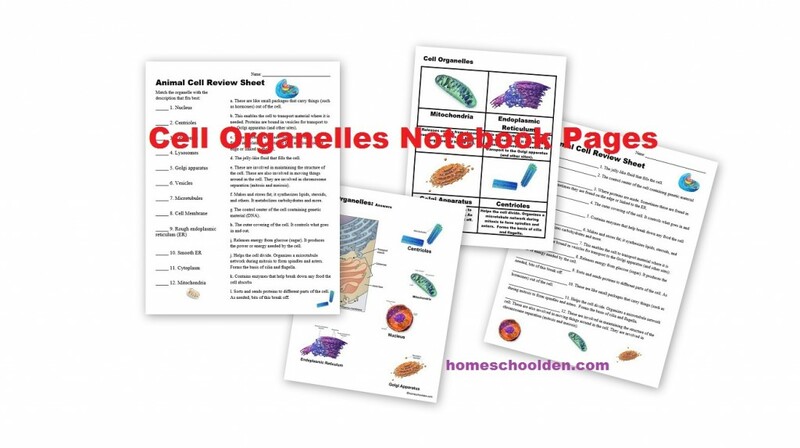 Animal Cells, How Proteins are Made and more!